The Sun Mountain Cumulus rain jacket has been upgraded with a hood and a new ruched waist for a more feminine fit. 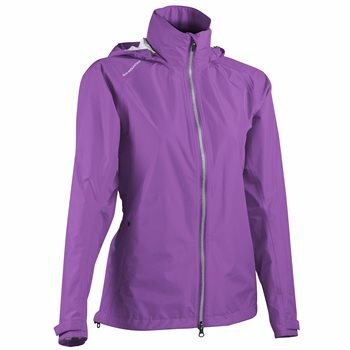 The jacket is super lightweight, extremely breathable and features a 20K/20K waterproof membrane. It is designed with an adjustable hem and cuffs; a stand-up, comfort collar and zippered hand-warmer pockets. The Cumulus rain jacket comes with a two-year waterproof guarantee.